Nestled on a premium 2/3 acre lot, this beautifully maintained home is the jewel of Dominion Valley! The gourmet eat-in kitchen boasts stainless steel appliances, backsplash, island and opens to a sun filled two-story great room with soaring windows and fireplace. A lovely morning off the kitchen has vaulted ceilings and walks out to an over-sized composite deck overlooking a stone patio and fully fenced backyard. 4 spacious bedrooms upstairs includes a master with en suite bathroom and large sitting room. Finished walk-out basement is an entertainer's dream with a huge rec room with wet bar, full bathroom, 5th bedroom and exercise room. 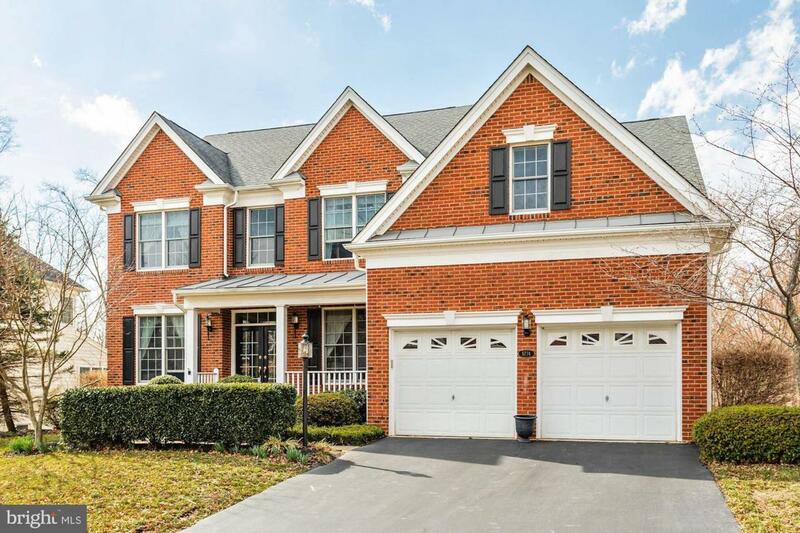 Resort style community has indoor and 3 outdoor pools, state-of-the-art sports pavilion plus 2 rec centers, playgrounds, hiking/biking trails & Dominion Valley Golf Club. Don~t miss this great opportunity!